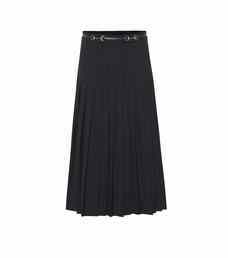 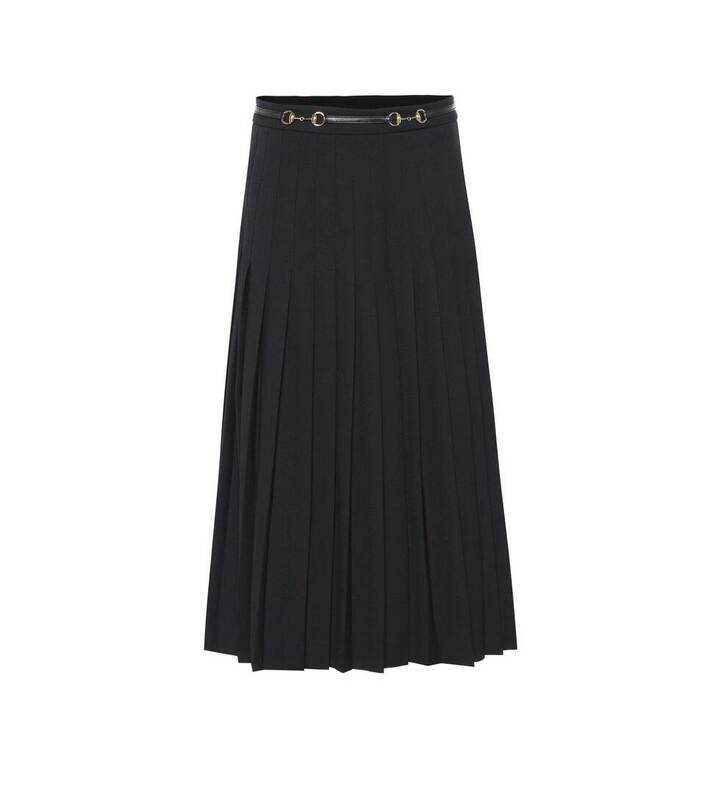 Pushing the lines of traditional suiting separates, this pleated navy skirt continues Gucci's signature narrative. 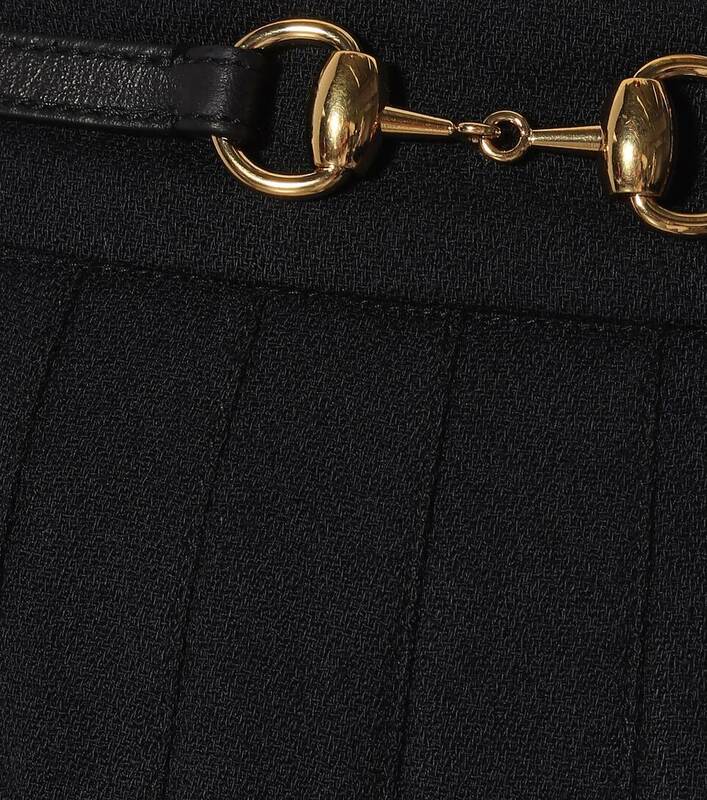 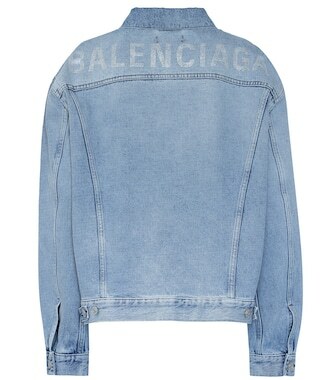 Crafted in the brand's native Italy, this high-waisted style is shaped from wool with a hint of stretch, and is cinched with a leather belt that is finished with the label's iconic horsebit embellishment. 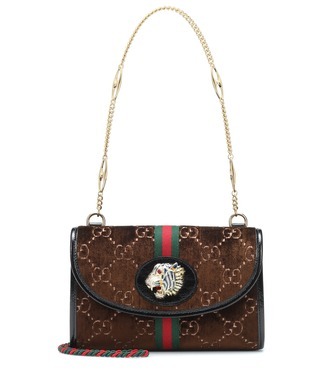 A pair of Jordaan loafers and a statement sweater will capture the mood of the Gucci woman.